This post was submitted by Nia Imani Franklin, Miss America 2019, for Children’s Miracle Network Hospitals through childrensmiraclenetworkhospitals.org/guest-post. Hi everyone! 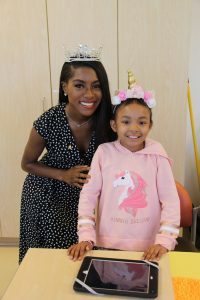 I’m Nia Franklin and I am thrilled to be the 2019 National Goodwill Ambassador for CMN Hospitals. I’ve visited hospitals since I was very young. Growing up, my parents always took me with them when they visited the sick members of my church. It always meant so much to me to bring them a little bit of joy. Fast forward to winning Miss America. Now I get to bring that joy to children at CMN Hospitals. 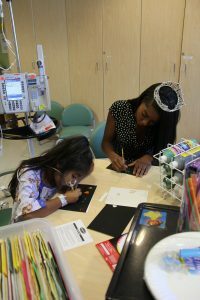 My very first stop with my “sparkly hat” at a CMN Hospital was made so special by Children’s Hospital of Orange County. As I put my crown on in my hotel room, it hit me: Today is my first visit as Miss America at a CMN Hospital. I felt a bigger sense of responsibility to be cheerful, say the right thing to parents and kids, and to bring hope and light into each room I was able to enter. 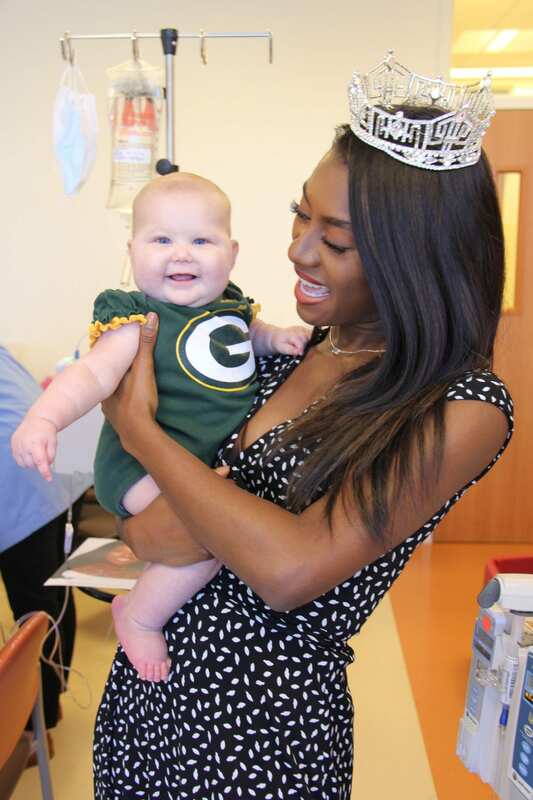 Miss America is the National Goodwill Ambassador for CMN Hospitals and it is a huge job! All I wanted that day was to make the kids and their families happy. I can’t bring them medicine, but to me, happiness is the best medicine. I went in like a soldier, ready for the job. Other than having visited hospitals as a child, I spent a significant amount of time in the hospital with my father who went through cancer and beat it! I was his stem cell donor, so I even know what it is like to be a patient myself. I know how lonely it can get, how monotonous the days can feel. That day, I had the power to take away those feelings, even if just for a moment, and the gravitas of the moment certainly weighed on me. Fortunately, every child I had the pleasure of meeting was full of joy and even laughter. I was still mindful of what they were going through, but seeing the joy that they had in spite of their diagnosis’ was inspiring and wonderful to observe. The first stop during my visit was at Seacrest Studios. The on-site radio station allows patients to come and interact with the DJ and equipment. Patients that are too sick to visit the studio can watch the on-air broadcasts in their rooms. The station DJ interviewed me and asked about the job of Miss America. 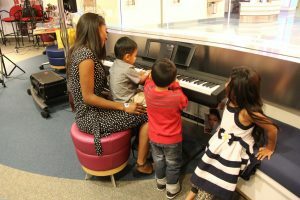 I was able to sing “You Are My Sunshine” for the kids and play the piano, one of my favorite things to do. You really can’t underestimate the healing power of music! I also read them a book about a cat who learned to wear outfits that he liked, instead of what other people liked, and the kids gave me stickers from the books they were reading. After some autograph cards, I was on to the playroom visits. The very first room was honestly a very emotional experience. I wanted to make sure I could keep my composure and be strong for the kids. 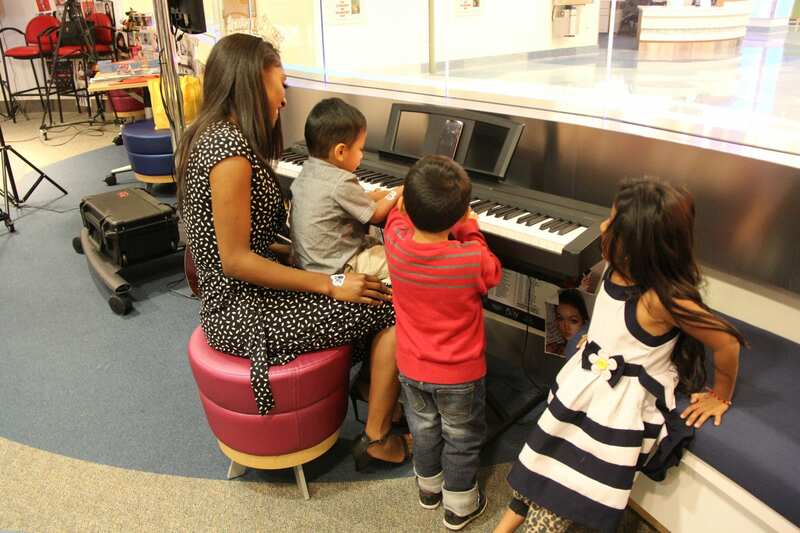 CMN Hospitals does an amazing job of physically creating an atmosphere of joy and peace. When I entered the room, the kids were blissfully painting and doing their blue period Picasso inspired masterpieces and all of my nervousness went away. One little 8-year-old girl was SO excited to see me which made me feel so loved. We took pictures and once it was time for me to visit the next playroom, she said, “please don’t go,” while giving me a big bear hug. I will remember that moment forever. The next two playrooms were also filled with excitement about Miss America being in the building. Even as an adult, I really can’t think of anything more fun than coloring, playing with Play-Doh, and singing for these kids. I cannot wait for my next visit, and for a year of spending time with children and their families. Miss America means so much more than the “sparkly hat” it’s all about the kid’s sparkly smiles that she sees when she walks into a room at CMN Hospitals and I’m so honored that I will have that opportunity all year. Hope to meet you all on the road soon!